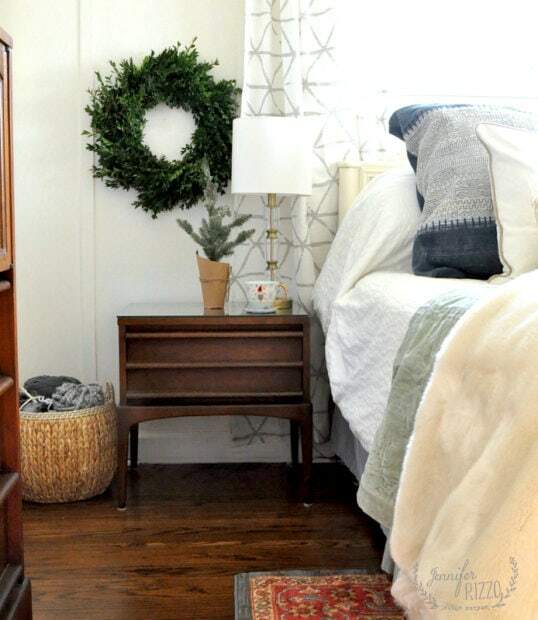 The annual Holiday Housewalk starts tomorrow, but today I am sharing a sneak peek at my holiday bedroom with the Seasons of Home Holiday Decor Series and Birch Lane! 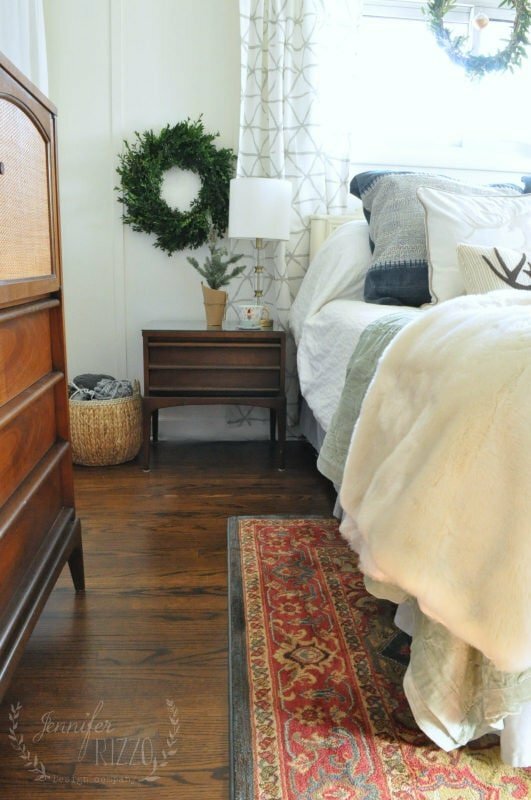 I wanted to keep our bedroom somewhat simple, so I just added a few touches here and there to make our holiday bedroom merry and bright. 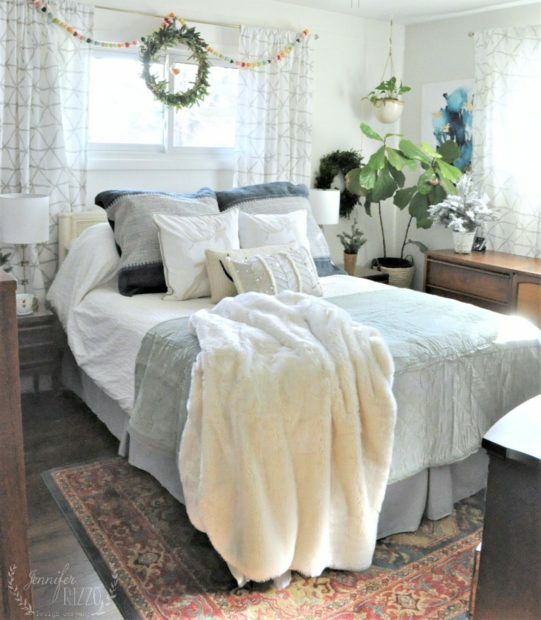 My favorite touch is the bright felt ball garland over the window and the pillows, and my least favorite touches were the boxwood wreaths on each side of the bed. I’ll tell you why in a little bit! I did was changed the look of the bed by adding a new quilt at the foot of our bed, and I added new pillows. You can see what our bedroom normally looks like here. I added a fun garland over the window, but I really liked the reindeer pillow covers. 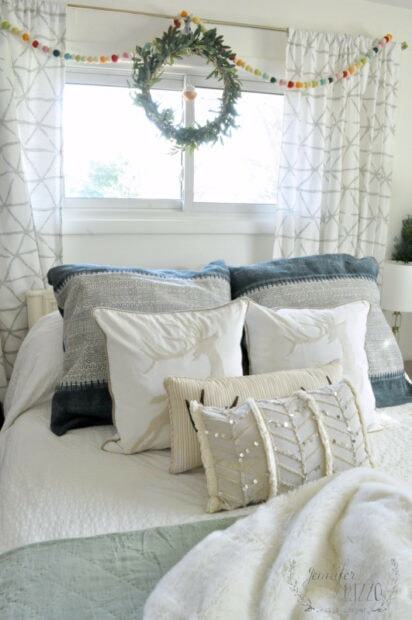 They added a fun touch to our holiday bedroom, and they went right over my regular pillows. I kept out plants, but I added a few faux min-pine trees for a bit of simple holiday. 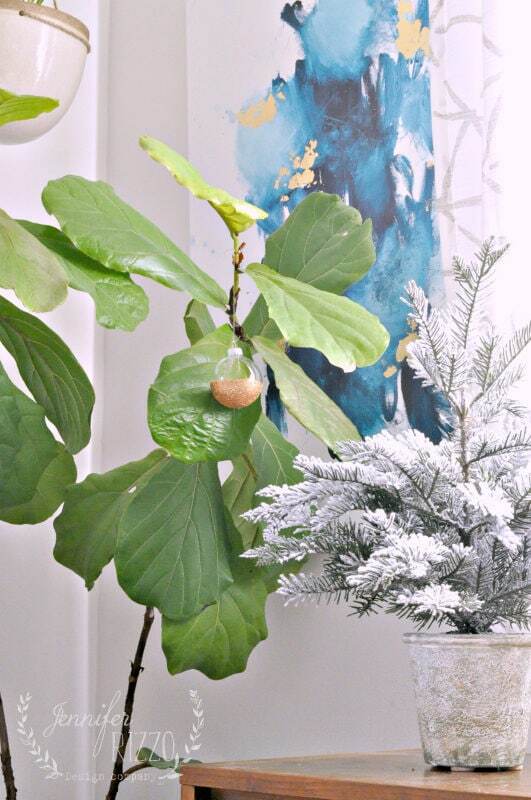 I did think I would be fun to add an ornament to my Fiddle Leaf Fig. I made these half-glitter ornaments last year for my natural rustic mantel. I didn’t want to cover up our newly refinished floors, but I wanted to add some color, so I added a fun rug just at the foot of the bed. 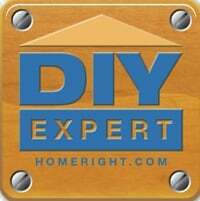 I love the extra color and texture it brings! While I love how the fresh boxwood looks on each side of our bed, I am not going to lie. To me, they smell like cat pee. Every.Single.Time. 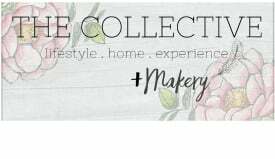 Maybe it’s just me, but I am going to be on the hunt for a faux boxwood, or preserved wreaths, because I really can’t stand the smell no matter how pretty they are! 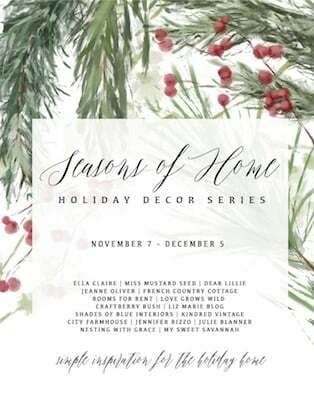 Make sure you visit the other bloggers on the Seasons of Home holiday series, and stop back to see the Holiday Housewalk! You can see last years here. It’s not just you. We visit a local theme park, and the little kids’ area is full of boxwoods. When it’s especially damp outside, the whole area reeks of cat pee. I think they’re beautiful, and I have 4 growing along my front porch. But I’m never tempted to bring sprigs of boxwood indoors. I find the same problem with juniper trees. Jen I so enjoy you! you are so funny just naturally. I agree about the smell and you called it out!!! I wonder if it would be better or worse with a little natural peppermint or pumpkin spice dropped on it. maybe worse!!! 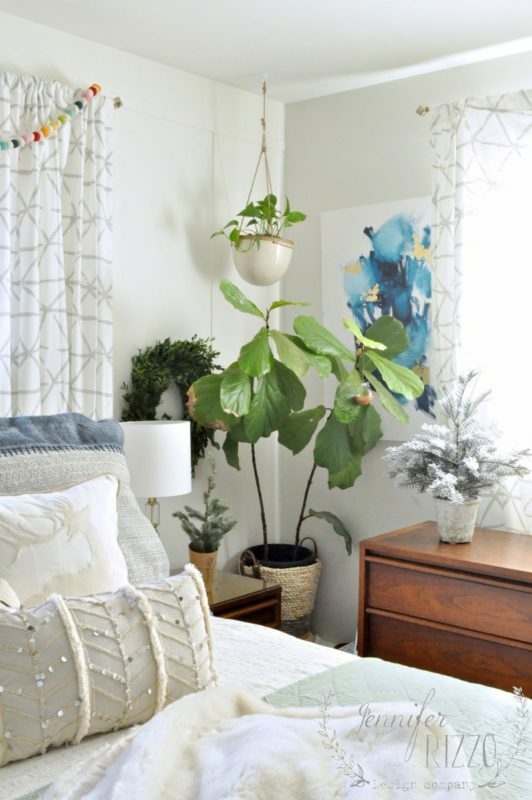 Your room is cute and cozy and so do-able with out a huge expense. I also love that about you. Have a wonderful holiday!! 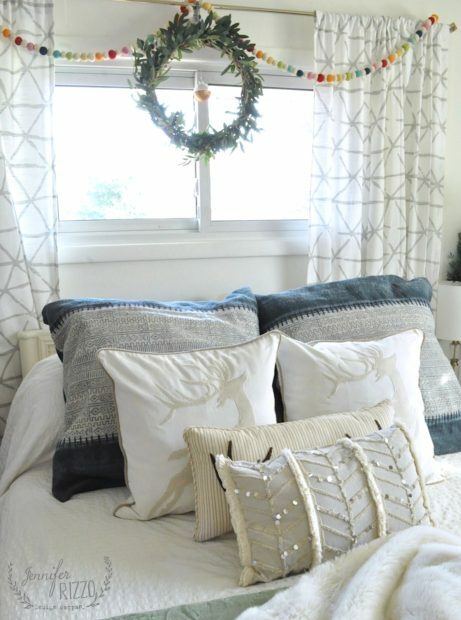 I love the reindeer pillows! Was wondering where the front pillow on your bed is from! Looks like a winter wonderland! 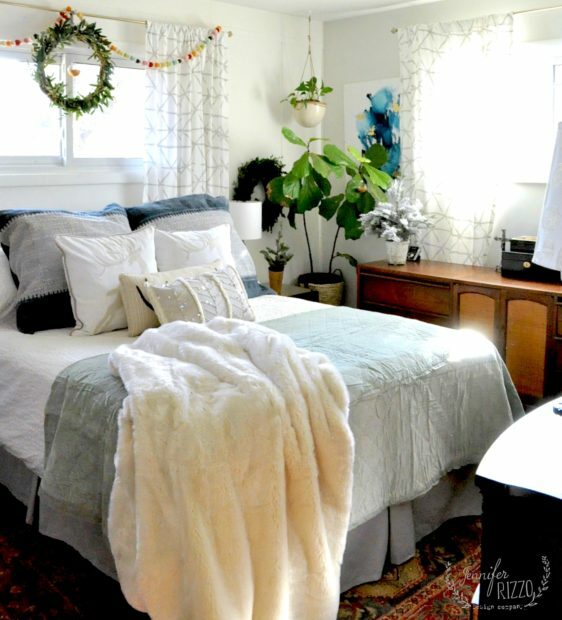 I love the garland and wreath above your bed!